. يعرف Rydges Hotels & Resorts بالمستوى الراقي لخدماته ولباقة موظفيه، وهذا ما ستجده في فندق ريدجز أوكلاند. لضمان راحة ضيوفه، يقدم الفندق الخدمات التالية: خدمة الغرف على مدار الساعة, واي فاي مجاني في جميع الغرف, أمن على مدار 24 ساعة, خدمة التنظيف يوميًا, خدمات بريدية . استمتع بوسائل الراحة الراقية في الغرف أثناء إقامتك هنا. بعض الغرف تتضمن شاي مجاني, مناشف, سجاد, شباشب, قهوة فورية مجانية لمساعدتك على استعادة طاقتك بعد يوم طويل. يمكنك طلب اللائحة الكاملة للخدمات في الفندق ومن بينها مركز للياقة البدنية. يشكل فندق ريدجز أوكلاند بخدماته الراقية وموقعه الممتاز، قاعدة مثالية للاستمتاع بإقامتك في أوكلاند. يرجى العلم أن جميع الحجوزات التي تشمل خيارات الإفطار يحق أصحابها الحصول على خدمة بوفيه الإفطار التي تقدم في مطعم CUT فقط. سيتم احتساب رسوم إضافية على طلبات الإفطار من خدمة الغرف حسب قيمة إجمالي الأصناف المطلوبة. غرفة كينغ مُطلة على الميناء. being right in the middle of Auckland was a great advantage. The staff were very friendly and went out of their way to help us. The breakfast was very good. Far great choice than a lot of other Auckland Hotels we have stayed in. Will defiantly be back. This hotel is very clean and tidy. The room is big and bath tub is provided as requested. The staffs are very helpful and nice . 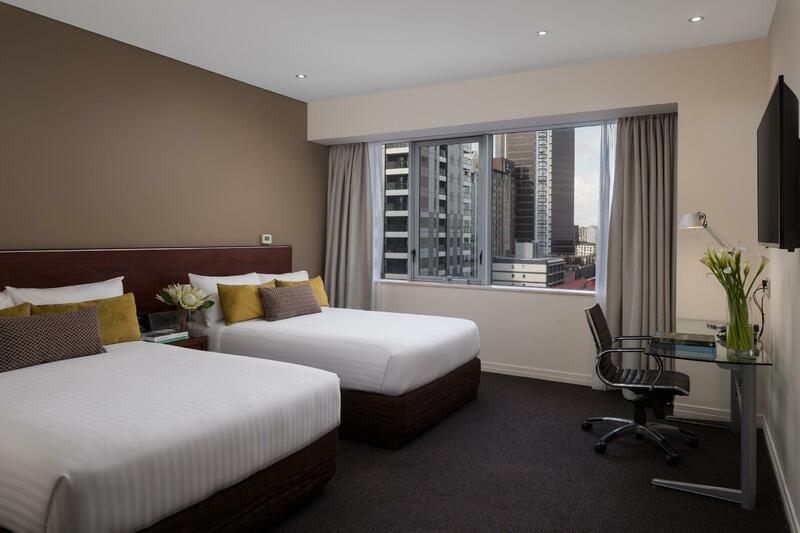 The location of the hotel is very close to sky tower and which is very convenience to the travellers. There is a bus stop to the airport just near to the hotel. 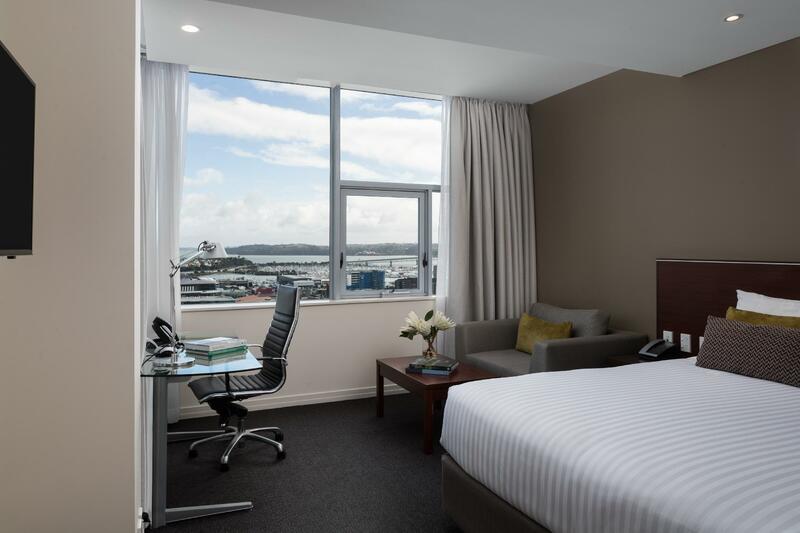 I'll definitely book this hotel again if I visit Auckland. First choice and the only choice. Room is pretty spacious and very clean. it is located in the town so you can easily walk around the town, there is also a skybus stop beside the hotel which makes transfer between the airport and hotel very easy. Staff is really nice and friendly and allow you to check in early when a room comes available. Wonderful stay, would definitely stay here again. Note to management, is work and income using your Hotel to clear the homeless people off the street. I saw at least 5 guys in bare feet, plastic bags full of clothescarrying shabby luggage check out and head into the Auckland CBD. These guys were very sheppish and looked nervous.. Say it ain't so..? The rooms are large - good enough to accommodate for 3 to 4 persons, I had booked 5 rooms for 16 persons, travel in family & friends group. 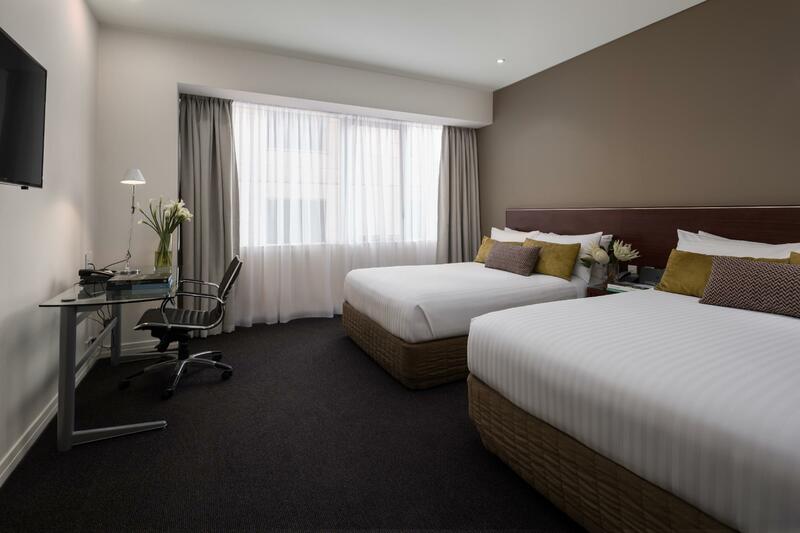 The rooms are bright, clean and the beds are comfortable, I like the hotel environment too though we have no time to use the gym room. 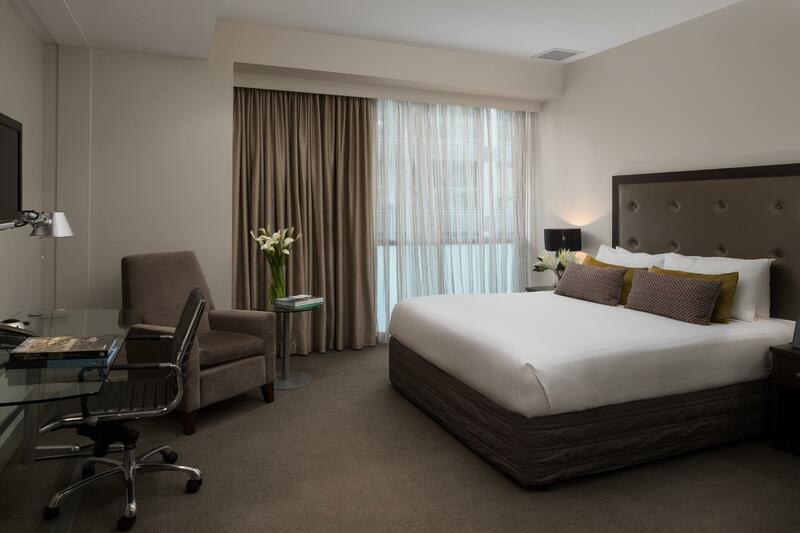 Good location in the town, just a few minutes walk to Viaduct Harbour, shopping Queen Street and good review gourmet outlets such as Occidental Belgian Bar, Depot Eatery, TANKS for healthy meals to name a few. I will definitely come back again in future if I travel to Auckland again. 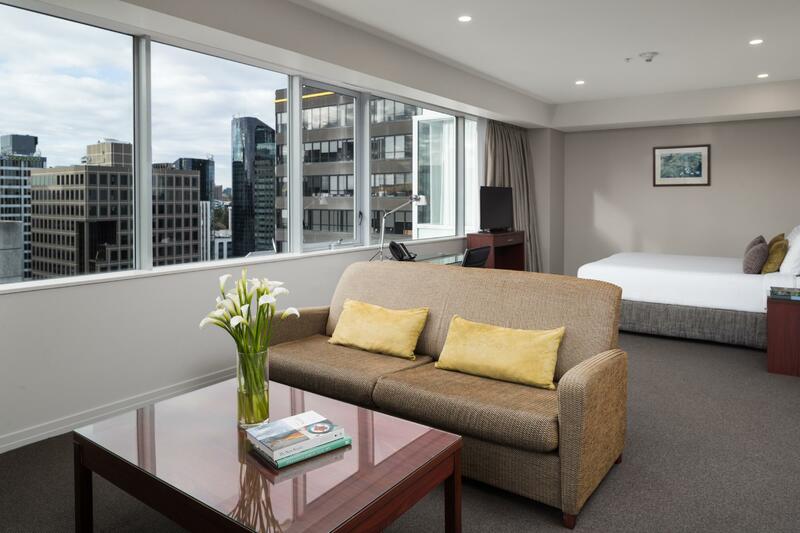 Best hotel of our trip (travelling across Australia and New Zealand) in terms of service quality and value. Hotel is not too big but I would class it almost at a 5-star level. 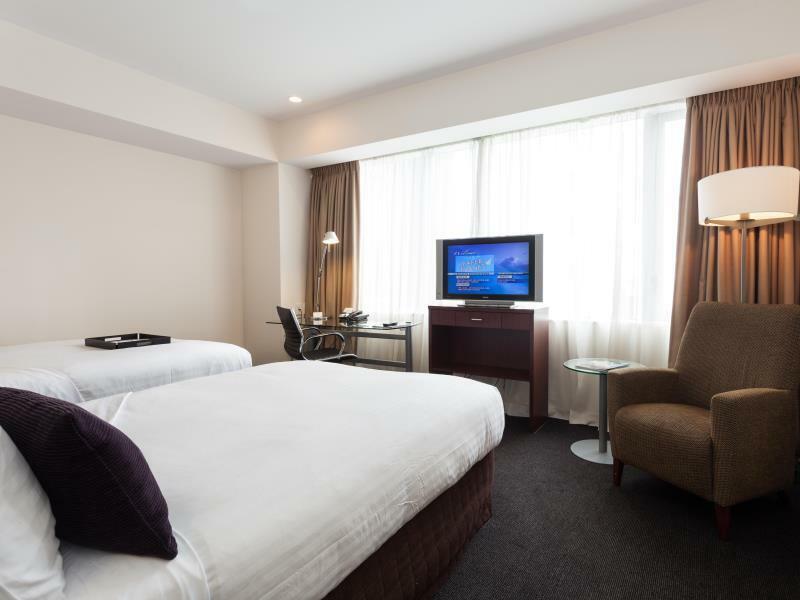 Rooms had a modern and classy design with a great range of amenities. No complimentary water the only negative but drinking tapwater is fine. Rooms rates very affordable too. Did not eat at the Cut - the hotel restaurant - but it looks good. 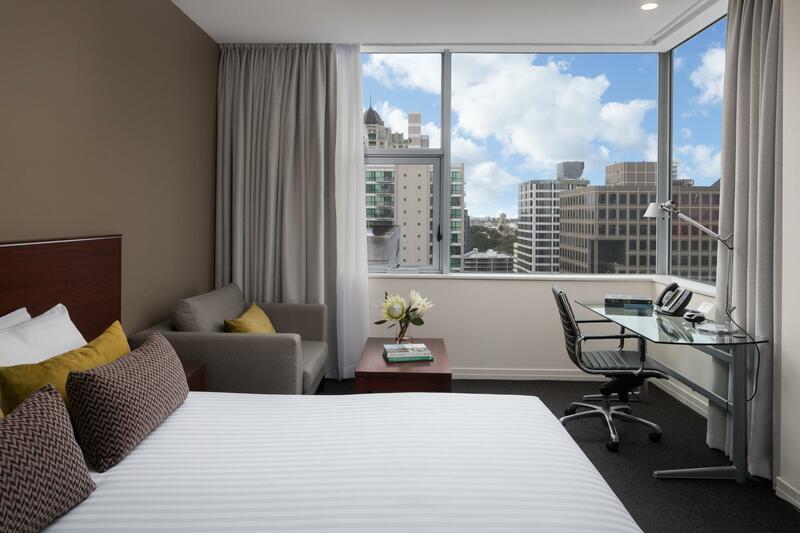 Definitely will stay again if I visit Auckland and will look out for this hotel chain. This is a very nice hotel just a little off main Queen St., short walk to Sky city. 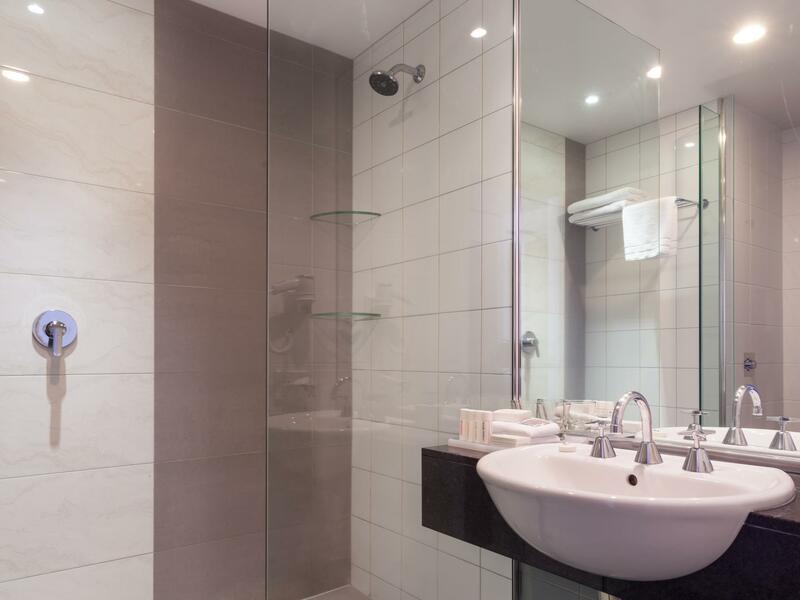 The room is very clean with every amenities you need. Staff is very friendly and helpful. Location of hotel is good, so quiet. This is my second time stay here, still like it. Good location, Great breakfast Good service except chief concierge( not going into detail to bored you all- friendly on surface but rude n nasty behind) Front desk staff are quite good, offered us baby cot as soon as saw us with baby. They even have a baby bath in demand. Room was clean and comfortable , and the breakfast was great , nice easy stay for a couple of nights. Quiet, pleasant room. 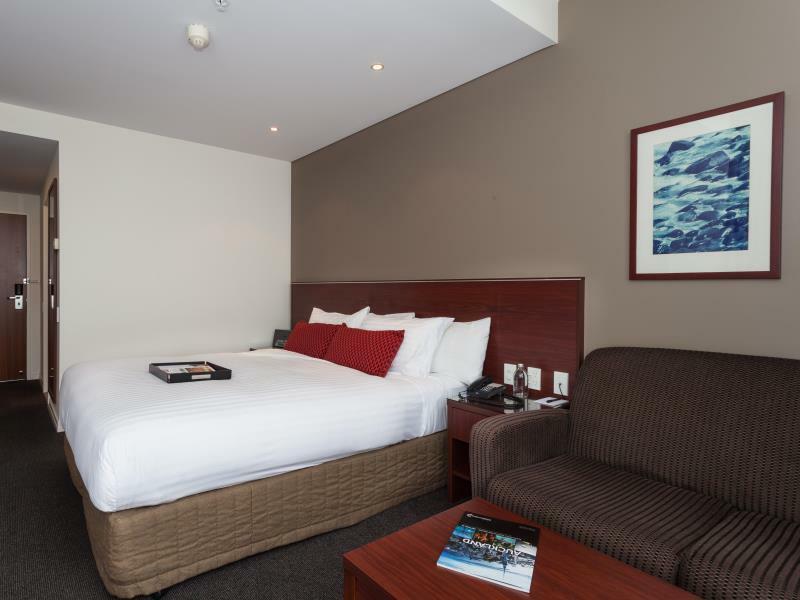 Easy walking distance to Sky Tower, waterfront, and Auckland University. On check-in I discovered that I had made a mistake on my booking & booked for the incorrect date. My booking was still valid as it was 1 week away so I asked if they could transfer it. I was told nothing could be done as I booked through Agoda. I would have simply cancelled my booking and received a refund, happily taking my business elsewhere at this point if i wasn't so tired, so instead I called Agoda (on roaming $3 a minute) and spent an additional $40 on hold having them call the hotel to ask the same question. After that the Duty Mgr continued his rude persona & I basically felt like he was treating me 2nd class for not having booked direct with the hotel. As I was exhausted I ordered room service - the food was bad. At about 1am I put the Air Con on as it was so stuffy which proceeded to screech and bang at 20 minute intervals. I recorded the sound & shared it with reception the following morning who were shocked & offered me a free drink voucher?!? We finished our honeymoon spending 4 nights here, and it was a blast! the room was very spacious, allowing us to completely relax in peace. Their 'Go Green' program allowed us the ability to not have to worry about early morning housekeeping and gave us a $10 per day credit towards their restaurant, which we enjoyed a superb final meal in the country! 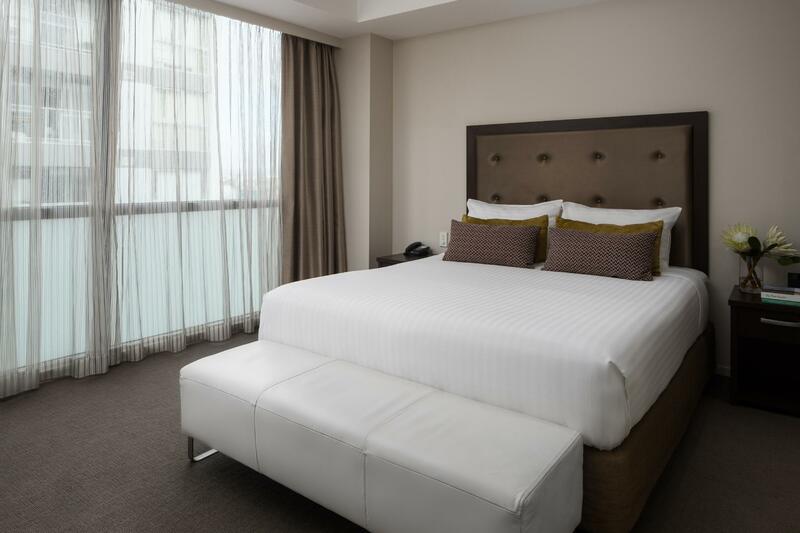 I had purchased a stay at Rydges Auckland for my parents previously. This is a great gift - they had a wonderful stay last time and so I had no qualms in purchasing another gift visit for them again. They loved it. Even though it was a Tuesday night, the city centre was still vibrant, even with the driving rain and sudden gusts of wind. The proximity to the city and motorway access was great. It was also interesting (but not flattering) to observe the neighbours in the adjacent apartment block. I had a late flight and I was able to access the gym and shower before I left for the airport. They also have a great scheme to give you a $10 discount toward meals if you opt out of room cleaning for that day. It was good although I have to admit that the bed in our room was not very comfortable but ok for a couple of nights. There was also a bit of confusion when getting the car back from the valet which led to a 40 minute wait. I have stayed at the Rydeges before. with recent changes to their restaurant, I think they are very close to a 5* Hotel. Staff at the reception already ahd my booking when the Concierge staff had already looked up my name from my baggage tag which was very impressive!